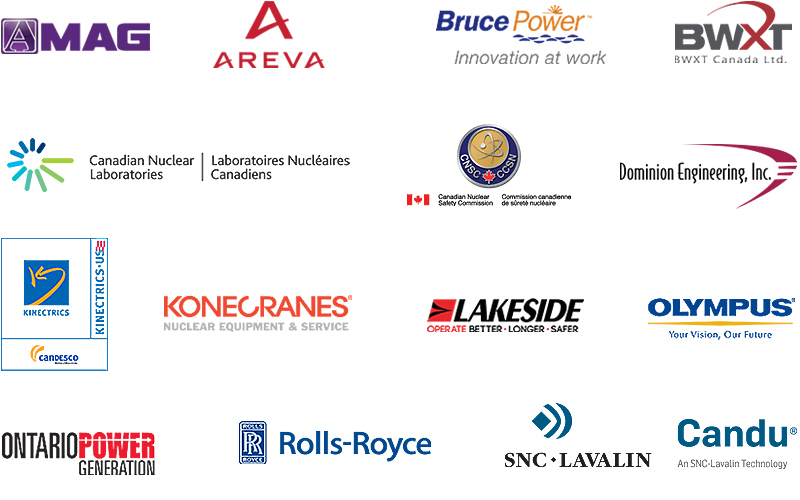 Sponsorship of INCC 2015 is an opportunity to demonstrate your company’s commitment to the nuclear industry and to the goals and objectives of this conference – the engineering, science and technology behind major components of nuclear power plants, and their contribution to operating excellence and long-term life extension. Sponsorship provides the benefit of increased corporate visibility and recognition among conference participants, and profiles your company as a leader within the industry. There are a wide range of sponsorship items and levels of support available. Click here for all details. Businesses that provide engineering, refurbishment, retrofit and maintenance services to the nuclear industry are encouraged to purchase an exhibit booth space to take advantage of the opportunity to showcase their company’s services to the conference participants. There will be many business development opportunities throughout the conference for networking with participants. The INCC 2015 Trade Show involves 22 booth spaces inside Graydon Ballroom C/D, which is adjacent to where all sessions will be held. Click here for the Trade Show Information package. 10’ x 10’ Booth Space – see attached floor plan (double booth spaces are available). Pipe and drape, one six-foot draped table and two chairs. Exhibit location of your choice based on availability at the time of booking. One (1) full Conference registration for a booth attendant. One (1) discounted Conference registration of $339.00 for a second booth attendant. If you have any questions about conference Sponsorship and/or Trade Show booth spaces, please contact the INCC 2015 Conference Administrator.